Paper size: 36.3 x 25.8 cm. 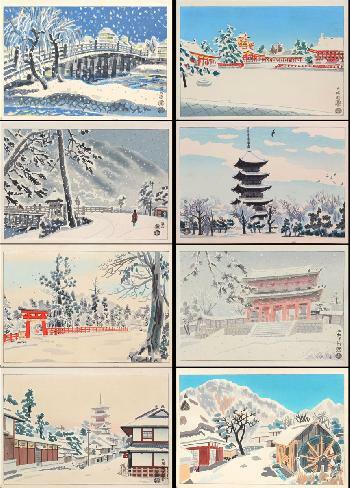 Complete set of 8, published by Uchida in 1930s or 40s. Complete with original paper wrapper; each print in its own paper mat. Fine impressions colours and condition: the paper folder shows some wear, as do the paper mats. The prints however are in fine shape.